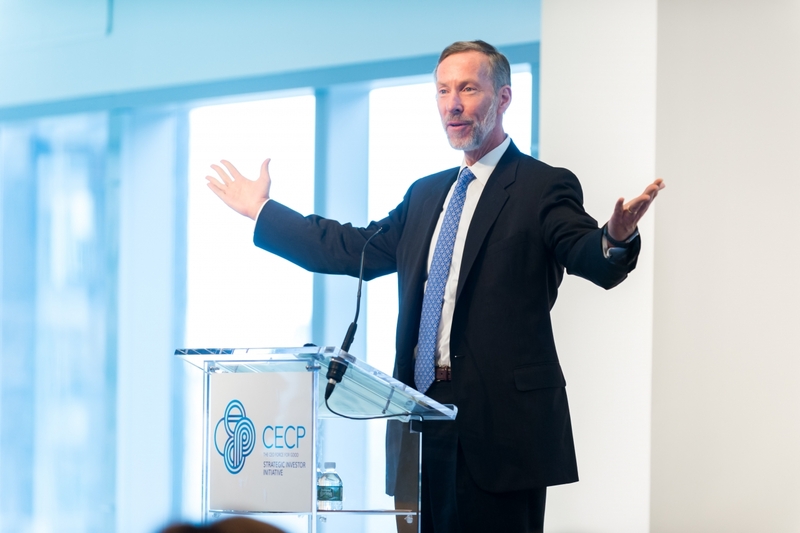 Bill McNabb, Chairman of Vanguard, presents at CECP's CEO Investor Forum 3.0 on 02/26/18. Vanguard chairman Bill McNabb believes that American public companies have been chasing short-term gains at the expense of long-term value for too long. McNabb is the co-chair of the CECP's Strategic Investor Initiative, dedicated to fostering a dialogue between CEOs and investors. He's the lead author of a letter that proposes seven questions CEOs should be able to answer in meetings with investors, to alleviate toxic short-termism.